Spring has finally sprung in the District! The cherry blossoms are in full bloom, the Nationals’ season is off to a solid start, and thankfully (knock on wood & fingers crossed) we’ve had more sunshine than showers so far this April! This week has been unseasonably warm and visions of summer stone fruits have been dancing through this Hungry Texan’s head. 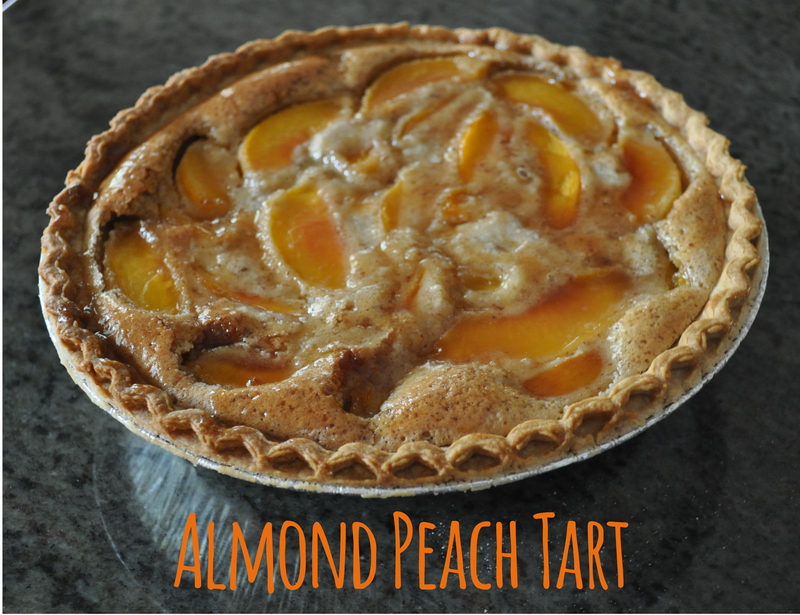 Try this almond peach tart (inspired from a recipe from Peace Meals, the newest Junior League of Houston cookbook) and start and tempt your tastebuds with the summer sweets to come! Now, this recipe is really quite simple! 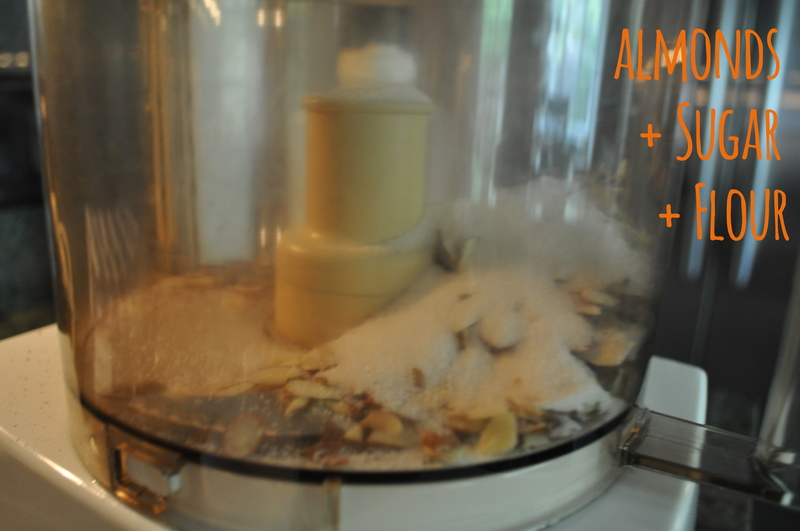 To make your almond cream, start by grinding almonds and 2 tbl of sugar to a fine meal in your food processor. 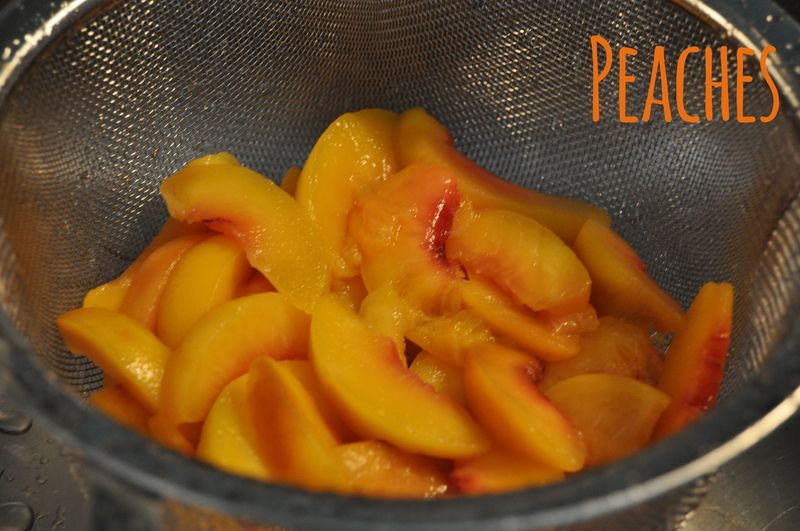 Remove the almond meal from the food processor and set aside briefly. 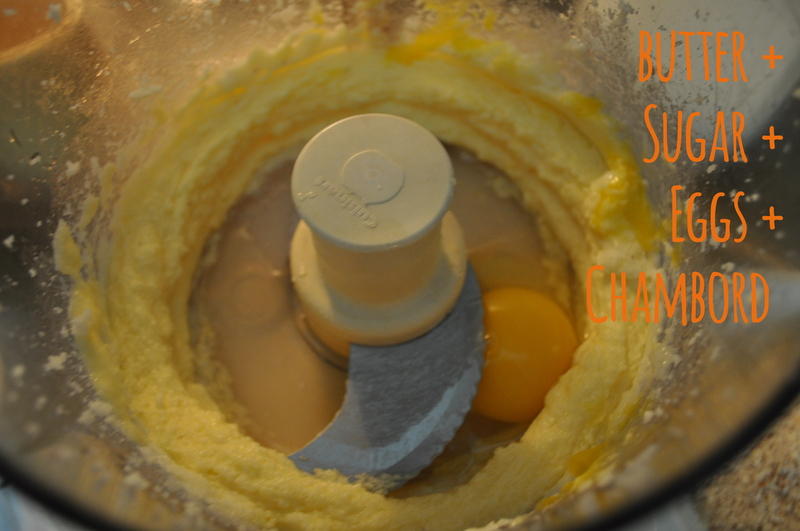 Cream your butter in the food processor until soft. Then add the remaining 6 tablespoons of sugar and continue creaming. Add your eggs one at a time and process until smooth. 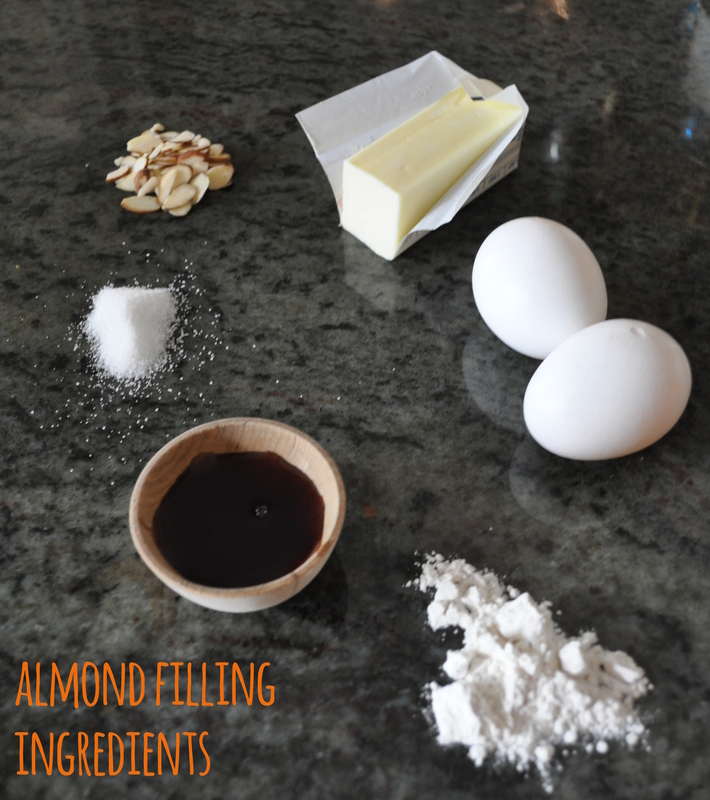 Finally, add back in your almond meal mixture, add the flour, and chambord until well mixed and creamy. 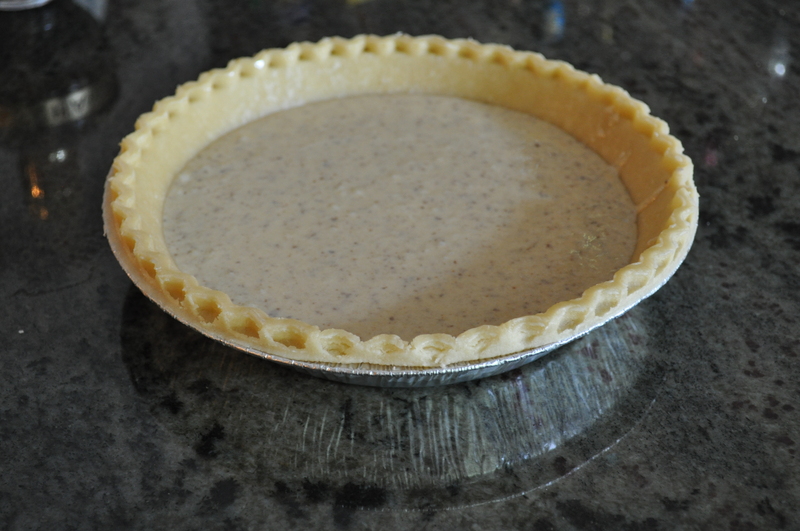 Next, assemble your tart! 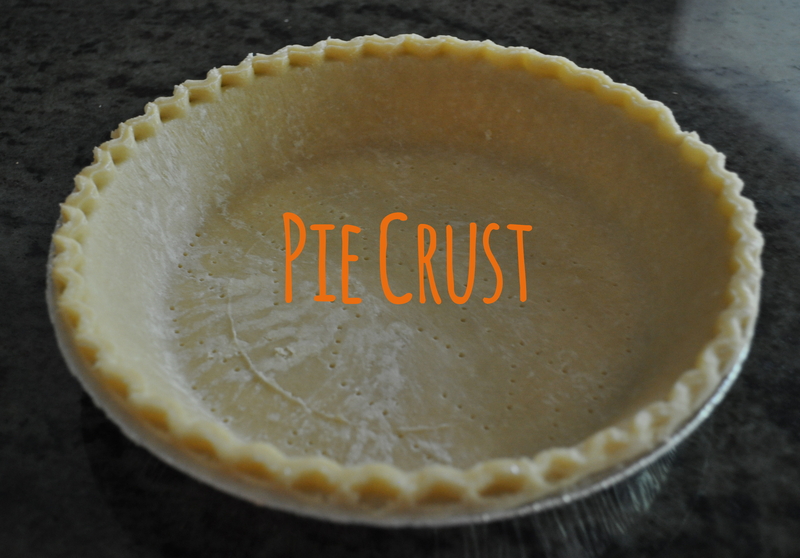 Pour your almond mixture into a prepared pie crust (fork-poked). 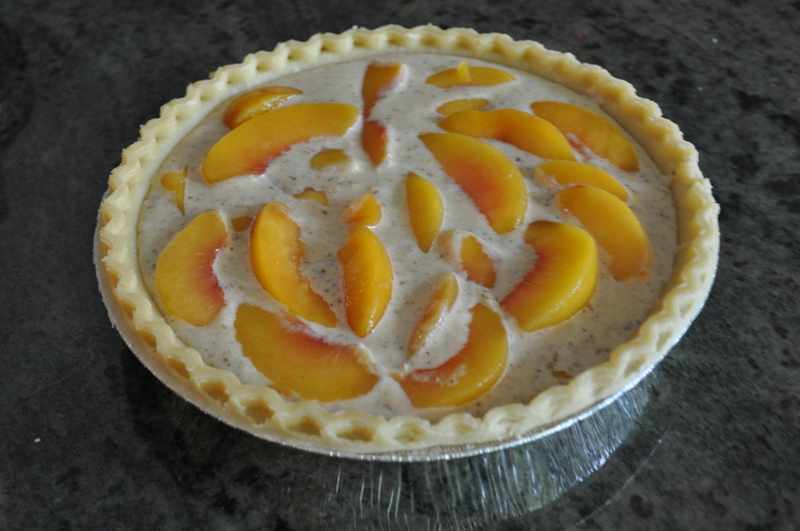 Arrange peaches in a radiating or concentric design. Bake for 10 minutes in your preheated oven and then reduce heat to 350 baking for another 25 – 30 minutes. Remove and let your pie cool. 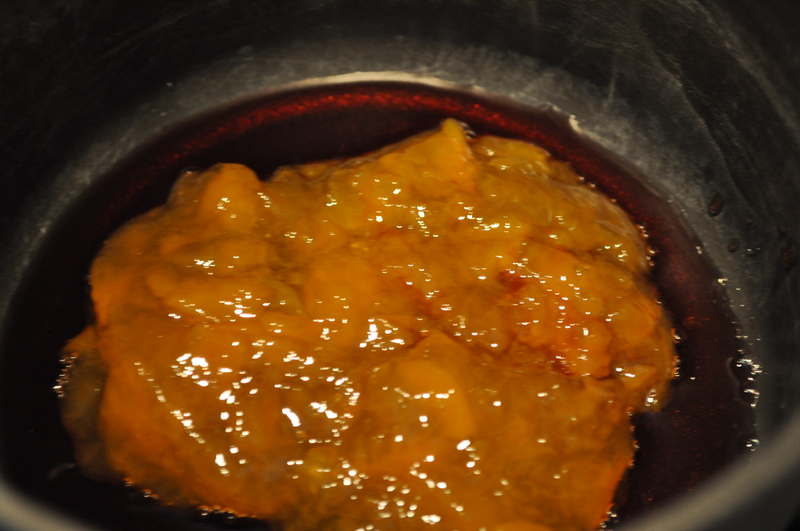 When the pie cools, prepare your glaze by bringing peach jam and chambord to a simmer in a small saucepan. 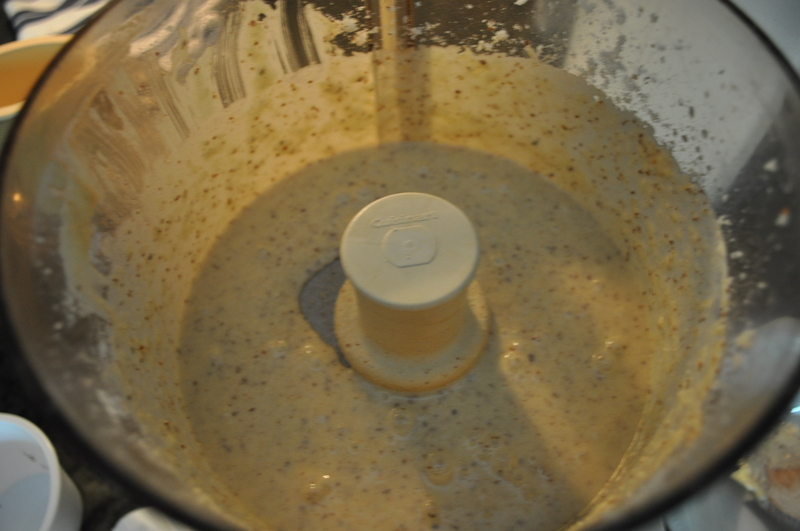 Stir continuously until the mixture is melty and wonderful. 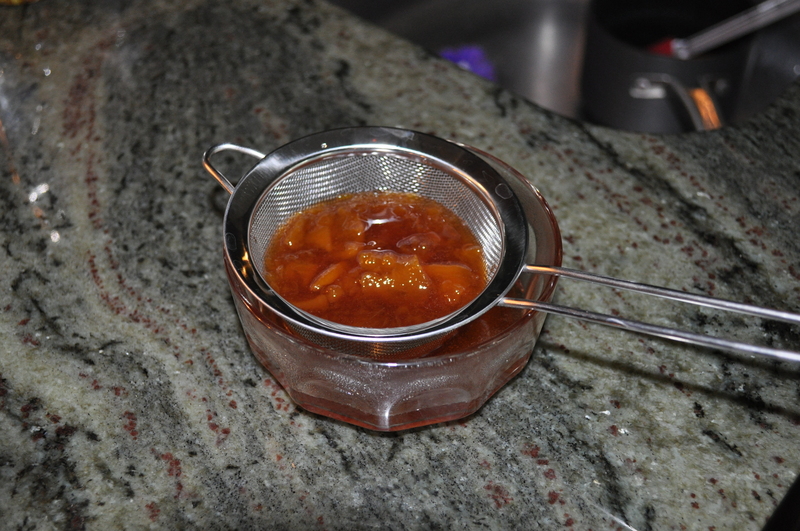 Then strain through a fine mesh strainer. With a pastry brush, brush the glaze generously over the top of your tart. Enjoy room temperature with a scoop of vanilla ice cream (Blue Bell if you’re so lucky! ).